Erard, 1928, Paris. The 1928 Erard Piano, Paris, looks very much like any modern piano, with its full keyboard range and one-piece cast plate. 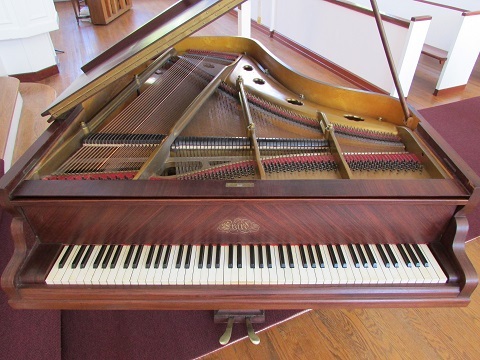 Although just under six feet in length, this Erard shares the clarity and wide dynamic color spectrum of larger pianos by the firm. 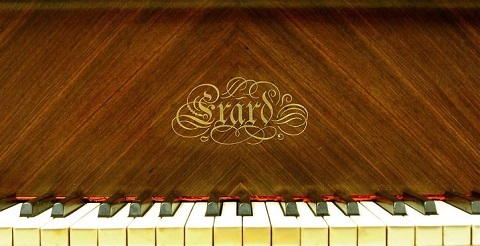 Erard pianos were important for French piano music of the early 20th century. 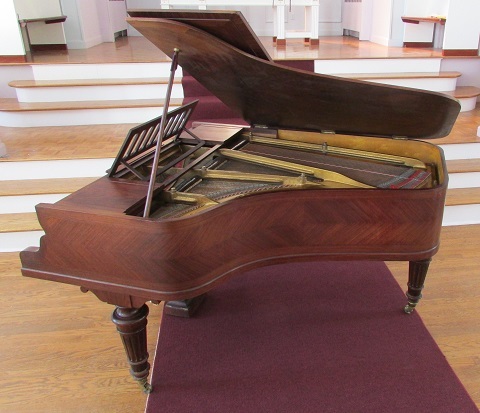 This piano belonged to singer and voice teacher Thérèse Leschetizky, the daughter of important piano teacher Theodor Leschetizky. 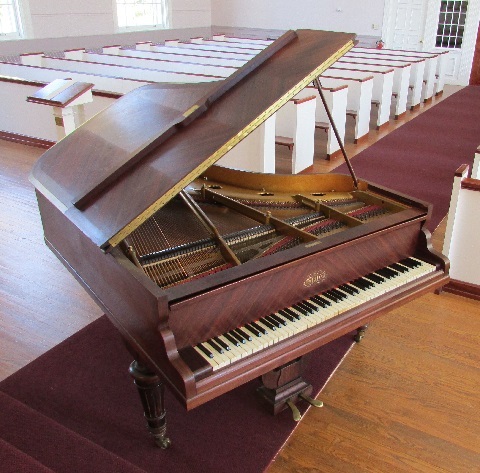 She acquired the piano from her father’s most famous pupil, Paderewski.